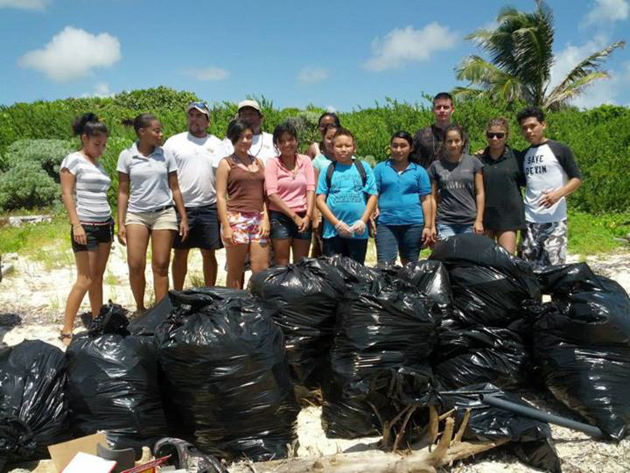 As part of the International Coastal Cleanup Day, The Hol Chan Marine Reserve and volunteers from the San Pedro High School conducted a beach cleanup at the turtle nesting beach in the Bacalar Chico Marine Reserve. 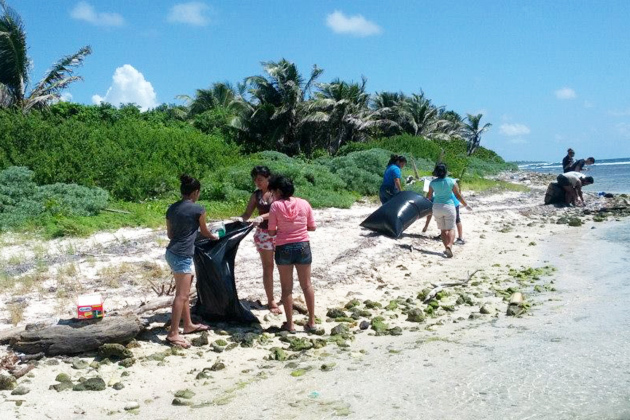 The Clean Up took place on Saturday, September 28, 2013 where they collected a total of 13 -55 gallon trash bags. Belize’s participation is part of the largest global volunteer effort to help protect our seas, lakes, lagoons, rivers & creeks. 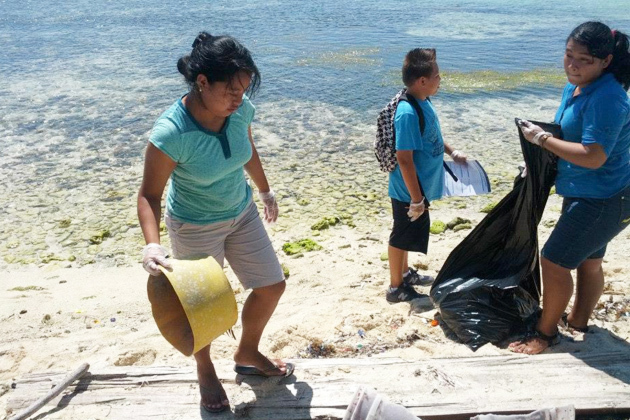 Each year volunteers spend a few hours removing debris and trash from beaches and the banks of waterways, recording the refuse removed. 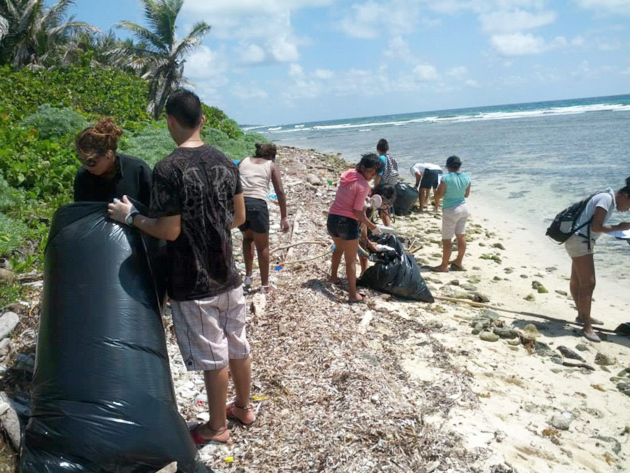 Last year’s efforts in Belize saw close to 1,000 volunteers – many of whom are Oceana Wavemakers—remove 8,696 pounds of rubbish from more than 25 miles of coastline and waterways in over 40 locations across the Jewel. *Encourage your local store to use biodegradable packaging/shopping bags & take your own reusable bag when shopping; and *Organize a recycling program at your workplace or school to collect plastic & other recyclable materials.